NORTHRIDGE, CA—HARMAN Professional Solutions today announced the public beta of the HARMAN Connected PA mobile app for iOS and Android, available now. The HARMAN Connected PA is a complete, integrated system of live sound products that allows musicians and performers at any skill level to quickly and easily get professional results. The Connected PA app is at the center of the system, and provides one centralized interface for full audio system setup, configuration and control for products in the Connected PA product family. HARMAN Professional Solutions plans to add additional new products to the Connected PA family to provide musicians with greater versatility and adaptable performance. 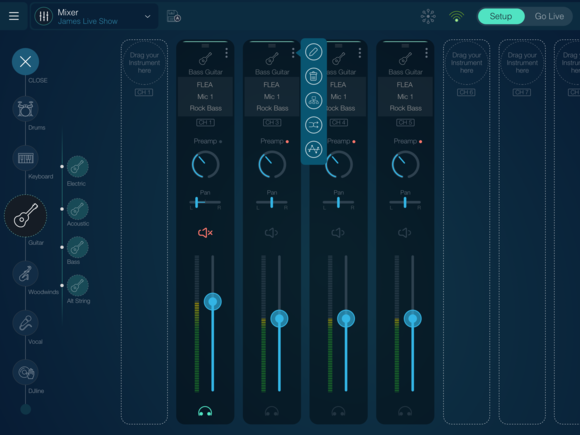 The HARMAN Connected PA app is now available from the Apple App Store and Google Play. Download the app, check it out with your compatible product and let us know what you think. The Soundcraft and JBL components mentioned in this announcement are all currently available but may require firmware updates to enable HARMAN Connected PA functionality. For additional information on the HARMAN Connected PA app and compatible products, please visit Connected-PA.com.